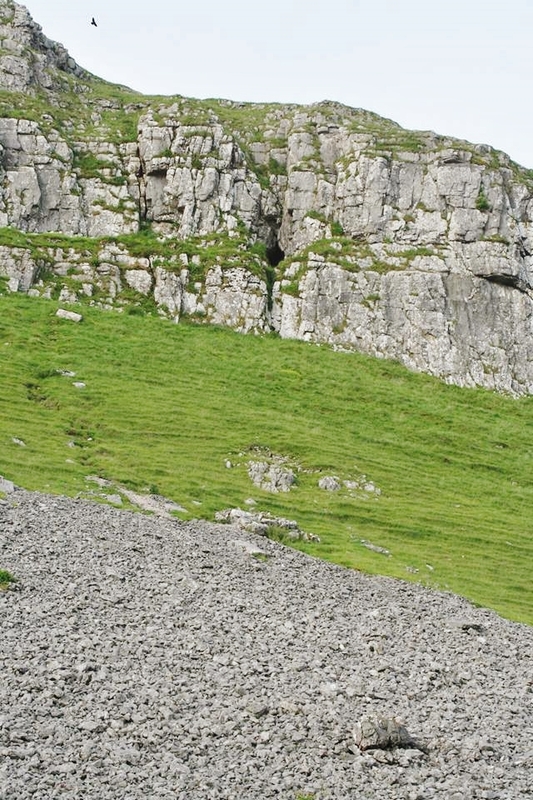 Attermire Scar is the dominant feature along the line of the Mid Craven Fault to the east of Settle, and the scree slopes below once met the waters of ‘Attermere’ itself, a small upland lake that was drained in the nineteenth century. 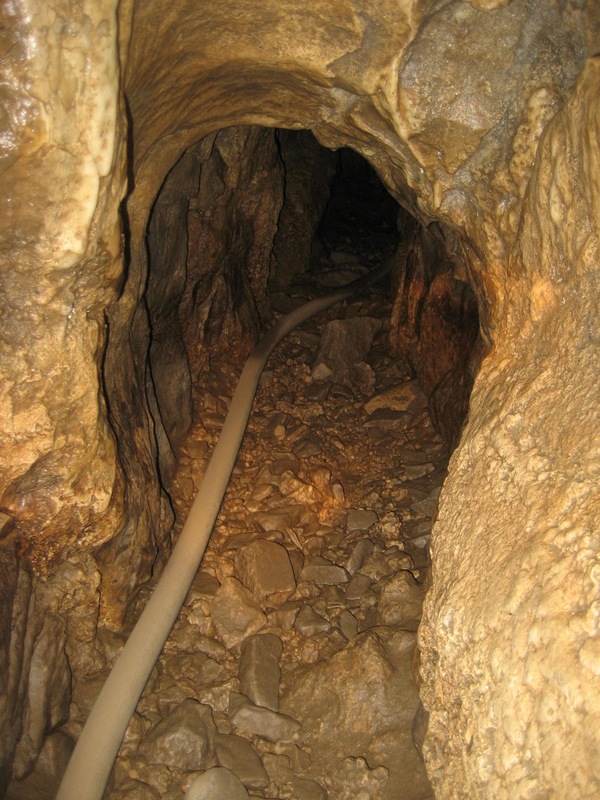 There are several cave entrances in the Scar, all the ancient remnants of extensive phreatic passages that were left high and dry by truncation and the lowering of the water table. 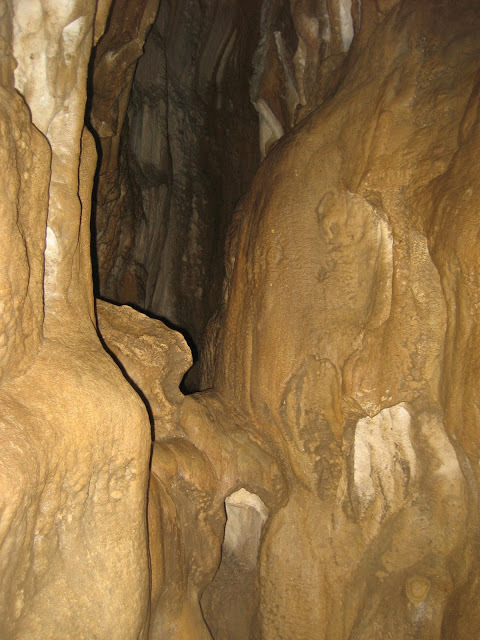 The longest and most spectacular is Attermire Cave itself. 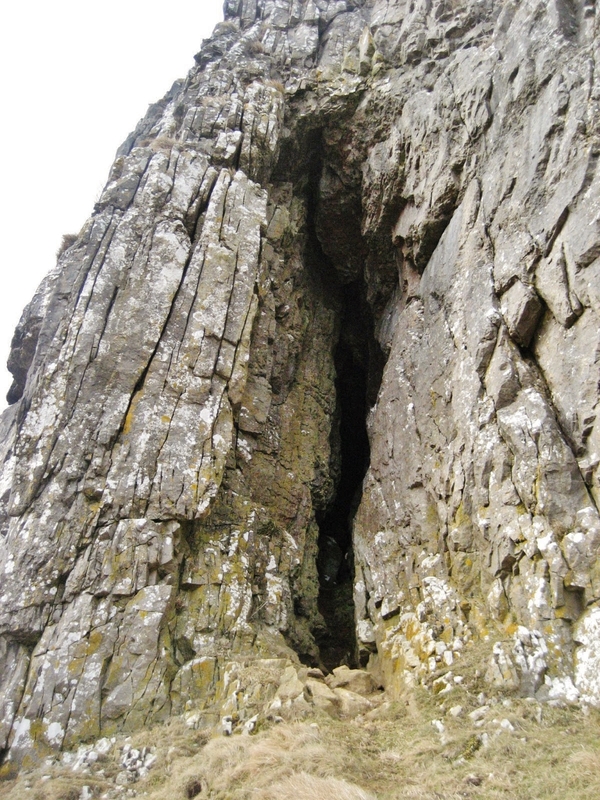 The cave can be seen as a keyhole-like opening close to the top of the scar, and is reached by a traverse along a grassy ledge that is far easier than it looks from ground level. A small dry channel can be seen etched into the cliff outside the entrance, the work of meltwaters which no doubt issued from the cave at the end of the last glaciation, though of course the cave itself once extended much further out beyond the present entrance until ‘trimmed off’ by erosion and ice action. It is amazing to think it once lay at the level of a valley bottom, considering its present height, 427 metres above sea-level and some 60 metres above the current floor. Remnants of the original ‘tube’ can be seen at the entrance – which was greatly modified by archaeologists in the 1920s and 1940s. 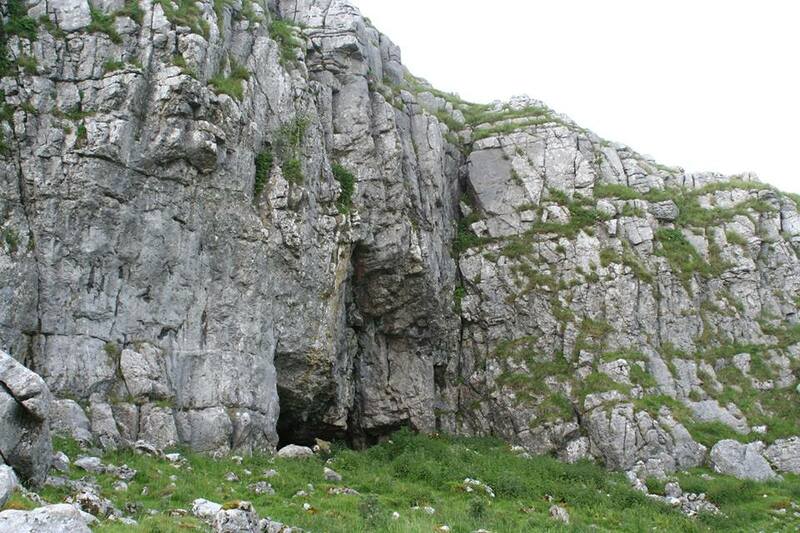 From sediments dug out of the cave, Romano-British artefacts were found, along with the remains of a chariot burial – and it has been speculated that this cave could have been some kind of shrine, given its lofty location and difficulty of access. 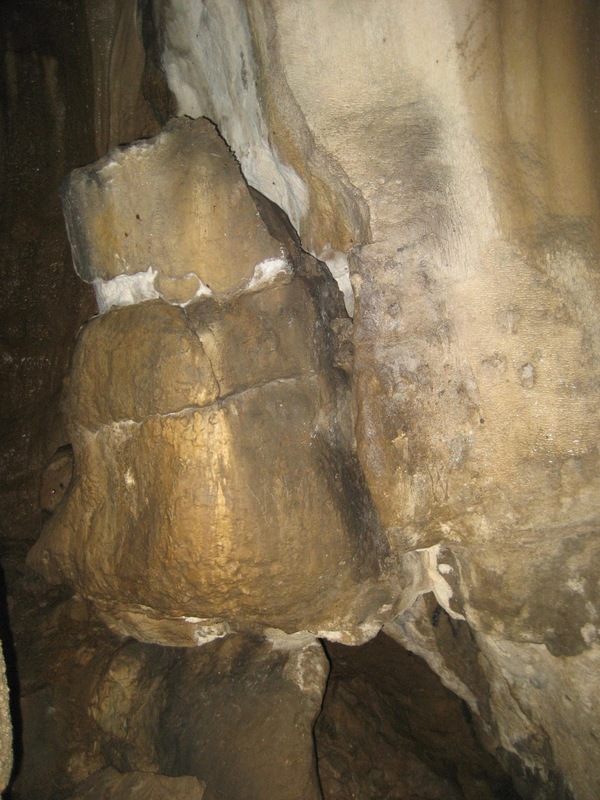 After a few metres of impressive rift passage, the cave lowers to a crawl through flowstone, known variously as the ‘neck’ and the ‘horsecollar’ – and through which water, presumably, was once forced at pressure. 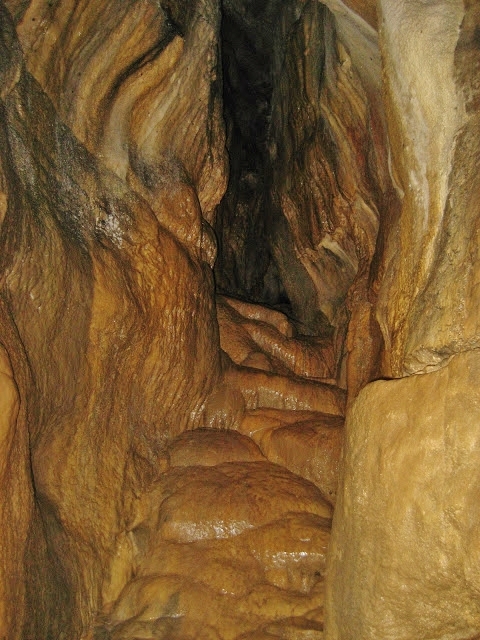 Beyond this low section is a kidney shaped pool in a small chamber and then a beautiful stalagmite staircase meets another fine passage with flowstone decoration. 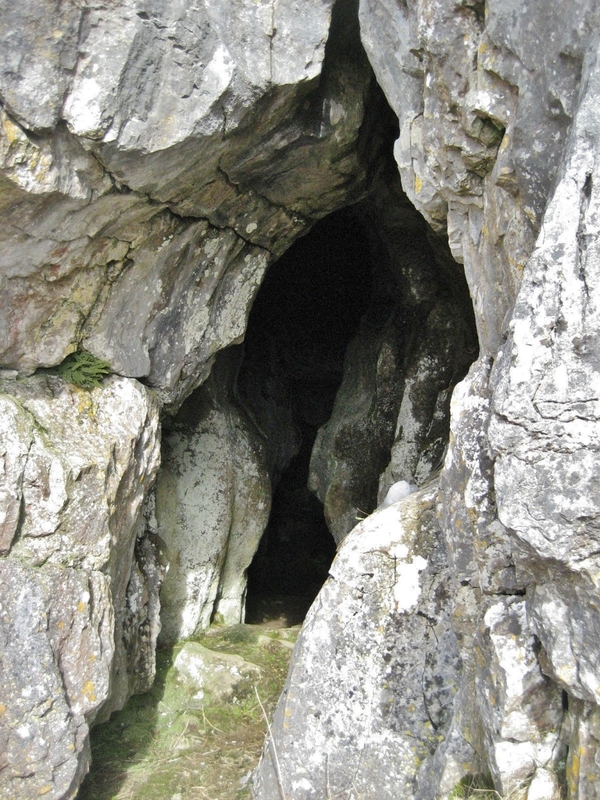 The cave ends in a boulder-filled cavern which must be very close to the surface on the top of the scar. 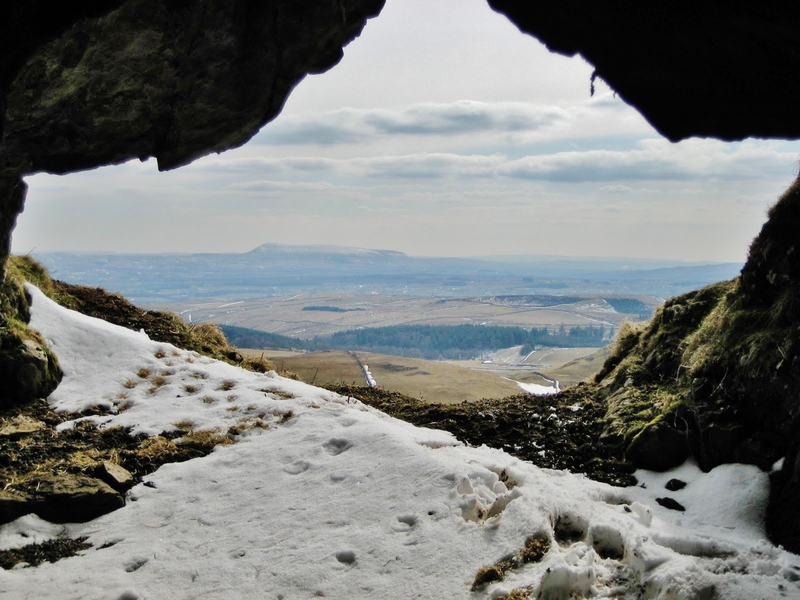 Other truncated caves in the immediate area include Lookout Cave (SD841642), an old phreatic passage with a beautiful symmetrical entrance which must have one of the most spectacular outlooks in Yorkshire. 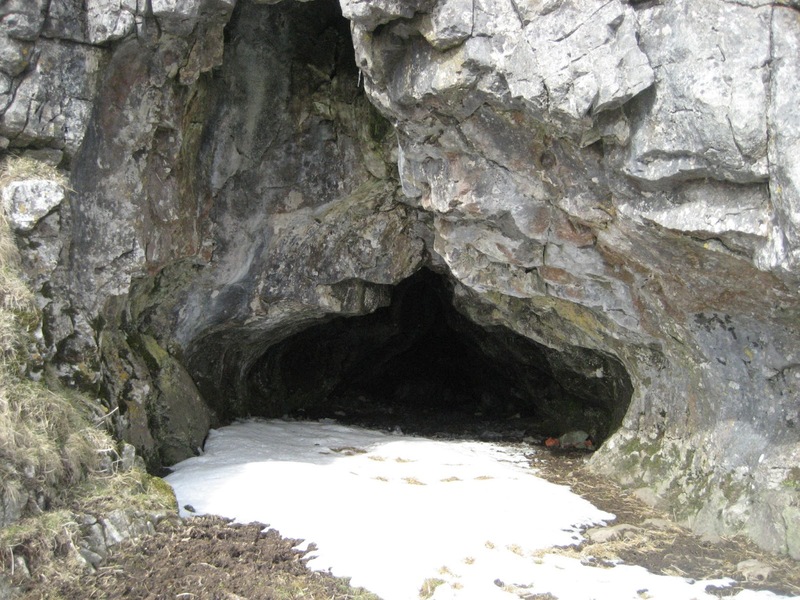 Horseshoe Cave (SD842642) is an impressive tall fissure linking to Attermire Cave itself, while Benscar Cave (SD843644) lies beneath a large overhang slightly higher and to the east. All are important indicators of a long lost landscape.